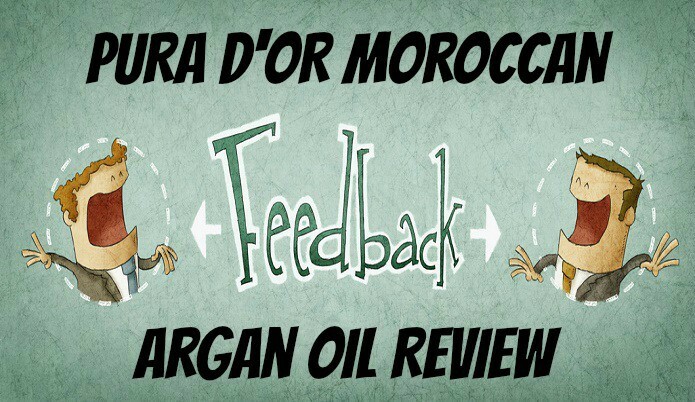 In this article we’re going to review moroccan argan oil from Pura D’or. To state before we get to far in this review will be focused on this products result for hair only. Since argan oil has many different uses such as for the face, hair and skin to name a few I wanted to address this so that before you got to far into this review could not find the answer you were looking for. Alright lets get into the details of this product shall we! If you’ve read any of my articles regarding shampoo you know that I’m a stickler for staying away from as many chemicals as possible in hair products. This actually led me to finding this product when I was looking for more natural type of products that I could use in my hair. Having a truly natural based ingredient profile is a huge plus here. I’m not a fan of products that apply smell unless it’s suppose to like cologne or something so when a hair product has a strong smell to it then it loses points with me. This products smell was very faint right after applying and pretty much non existent after about 30 minutes. Having the argan oil cold pressed is a term of how they get the oil from the tree or basically make it. By cold pressing it allows more of the nutrients that are in the oil to stay in it rather than when being done with heat which will destroy most of those nutrients. So going for the cold pressed was a no brainer in my opinion and it shows that Pura D’or thought this product through. The main thing that I truly enjoy about this product is the fact that I get so many different types of uses out of it and each one works great on my hair. Ive used it as a shampoo, leave in conditioner and also tried it a few times as a styling product. It does a great job of cleaning my hair without all of the chemicals so it beats shampoo there. (I still like co-wash conditioners better tho). Does a great job on my hair as a leave in conditioner which helps me give it a little more weight to it to help control my hair. I’ve also tried it a few times as a styling product to help give my hair a more glossy type of look to it which looked really good but I did this more as a curiosity type of project. One of the things I don’t really have an issue with is thin hair or dandruff problems so I can’t comment on how it works for things like that but I’ve heard from a few people that they feel as if they lose less hair in the shower or when bushing while they were using argan oil. Overall for the price of this product and the multitude of uses that it can be used for makes this a very solid product in my opinion and with the quality of this oil I can see exactly why so many people rave about it. 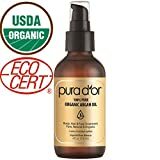 PURA D’OR Moroccan Argan Oil defiantely gets a thumbs up by me and have no doubt you will enjoy this product (as far as for hair use anyways).